Prime Minister reportedly asks Attorney General to wait with summoning him to a hearing until after the elections. 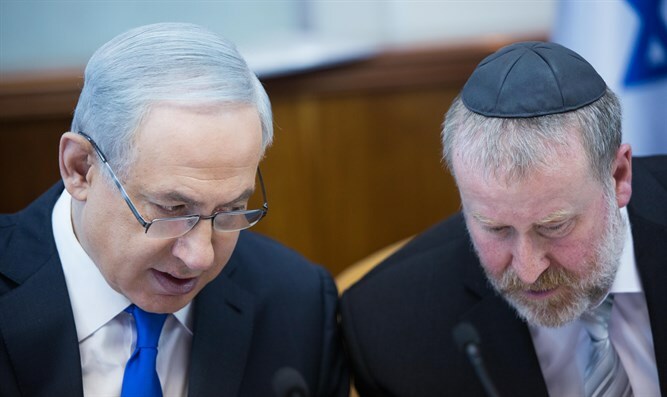 Prime Minister Binyamin Netanyahu, through his lawyers, has sent an official letter asking Attorney General Avichai Mandelblit to delay the decision on his cases until after the elections, Channel 12 News reported Wednesday. According to the report, a letter was received on Monday at the office of the Attorney General, which included Netanyahu's request for Mandelblit to wait with his summons to a hearing. In the letter, the prime minister’s attorney, Navot Tel Tzur, details a series of arguments against summoning a hearing before the elections. "The publication of a partial and one-sided picture to the public without publishing the arguments and answers to the suspicions carries the risk of misleading and distorting the will of the voter and may cause irreversible damage and be interpreted as interference in elections," wrote attorney Tel Zur.